After using oatmeal cans for a few crafts, we had some extra oats to get rid of. And besides a bowl of oatmeal for breakfast, the next best you thing you can do with oats is to bake cookies. 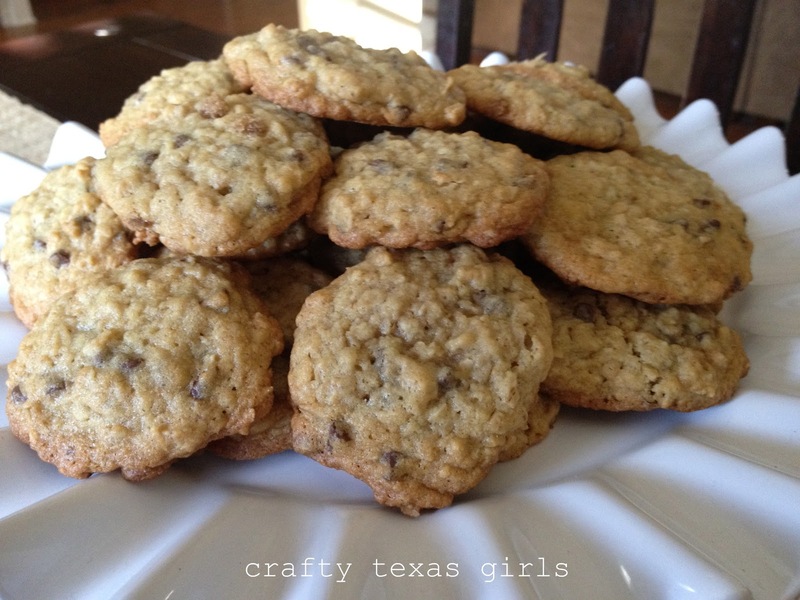 My favorite recipe for oatmeal cookies is from the "Better Homes and Garden Cookbook". It makes a nice, moist and chewy cookie. The recipe is simple. And although it calls for raisins, we substituted mini-chocolate chips. The mini-chocolate chips add just the right amount of sweetness. 1. Preheat oven to 375 degrees F. In a large mixing bowl, beat butter with an electric mixer on medium to high speed for 30 seconds. Add brown sugar, granulated sugar, baking powder, baking soda, and, if desired, cinnamon and cloves. Beat until combined, scraping side of bowl occasionally. Beat in eggs and vanilla until combined. Beat in as much of the flour as you can with the mixer. Using a wooden spoon, stir in any remaining flour. Stir in rolled oats. 2. Drop dough by rounded teaspoons 2 inches apart onto ungreased cookie sheets. Bake for 8 to 10 minutes or until edges are golden. Let stand on cookie sheets for 1 minute. Transfer to wire racks and let cool. Makes about 48 cookies. You can find variations of this recipe and other yummy things at Better Homes and Garden. We still have a lot of oatmeal left. Any ideas on what to do with the rest? 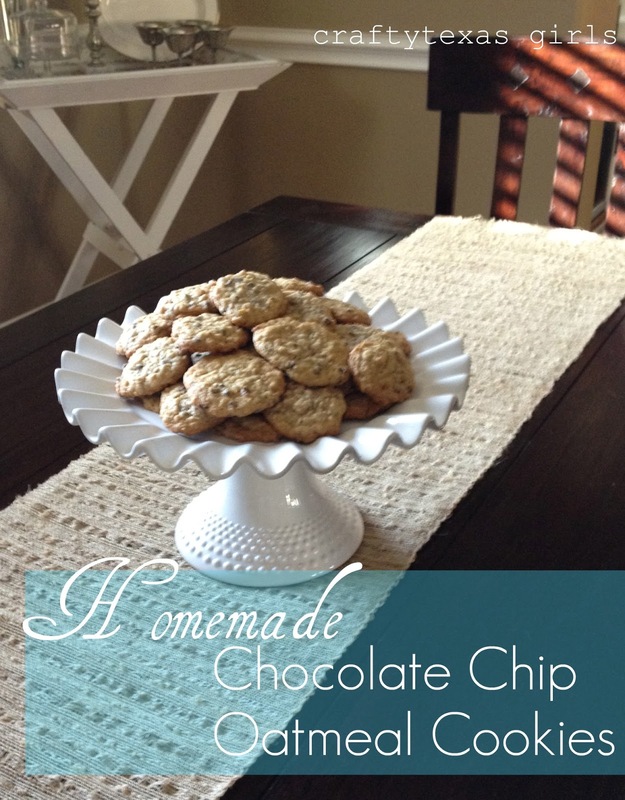 What is your favorite homemade cookie? Thank you for visiting my site! Oatmeal cookies are always a winner ... my one son will eat oatmeal cookies every day of the week ... but have you thought about an oatmeal bread or cake? Good idea Brenda. I will look for some good oatmeal bread and cake recipes. Sounds yummy!